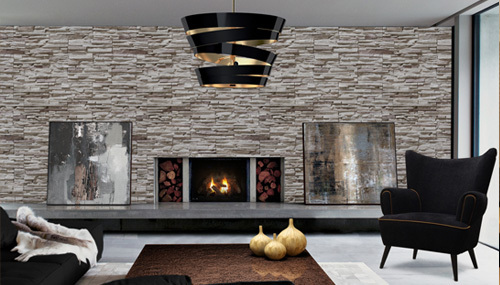 As there are so many lights we've arranged the most popular types into collections to help you find your perfect fitting. 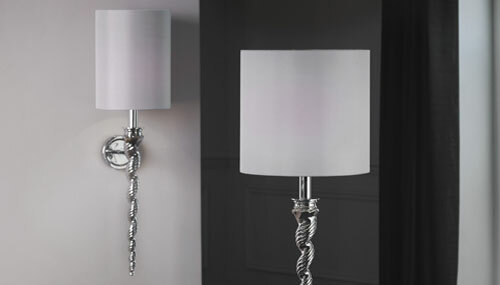 You will find a wide range of designs in these collections from Modern to Vintage, but remember that you can use lighting from our ceiling and wall lighting ranges in your kitchen. 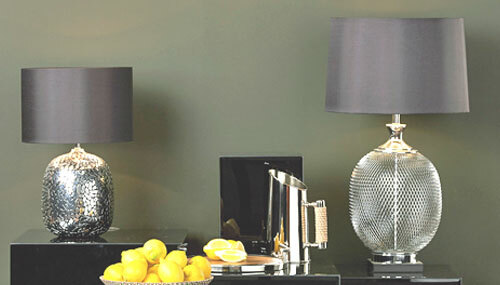 When choosing lighting for your kitchen there are a number of things that you need to consider. 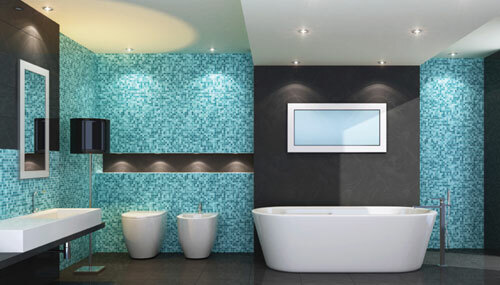 You will need to think about both task and ambient lighting as your kitchen is most likely used differently throughout the day. 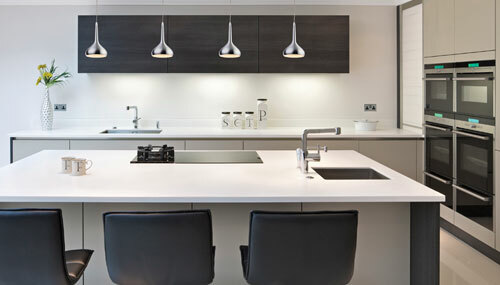 Task lighting is used within the kitchen for when you are preparing food and cooking. 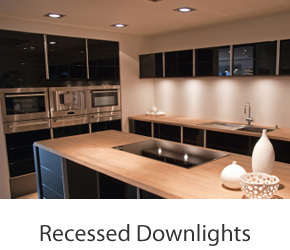 Ideally you need to have light positioned above your work surfaces and the easiest way to do this is to used recessed down lights that are fitted into the ceiling. These are either fixed or able to tilt slightly and will direct light directly onto the work surface making it easier to carry out tasks. 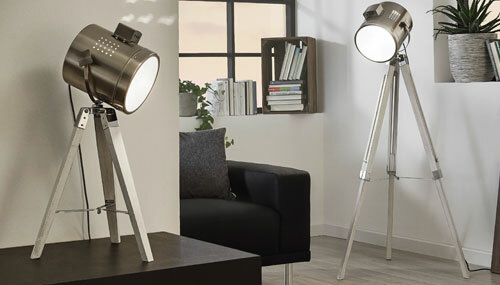 These can be located just above the edge of the work surface, if you have them too far into the room you will cast a shadow over your work by being in between the light and the worktop. 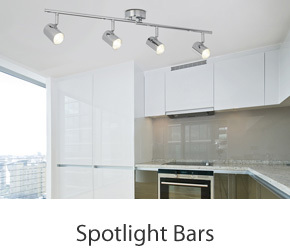 In kitchens where you are unable to run the wiring around to create a ring circuit for downlights the use of spot light bars and clusters can work well. 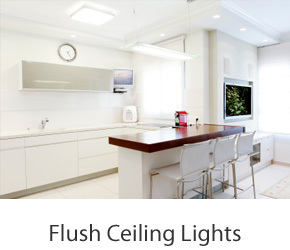 This is particularly true in flats where you are unable to access the roof space to run the wiring. 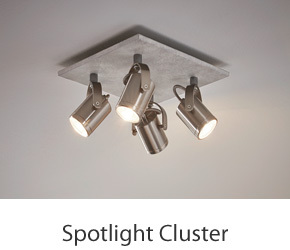 With spotlight bars or clusters you can angle the beam of the lights to specific areas in the room where you do most of your preparation. They are simple to fit needing only one connection. 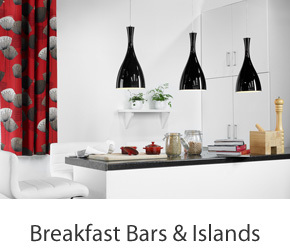 If you have a breakfast bar or island in your kitchen you may want to use lighting to make a feature of the bar and create some drama. 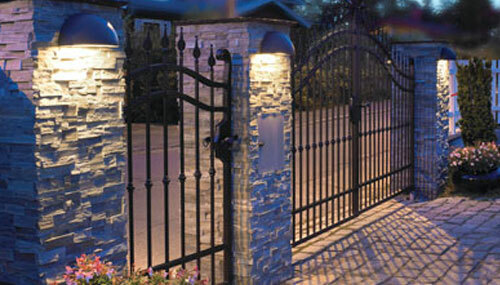 There is a wide choice of fittings you might use for this, from lighting bars to using pendants in a line. 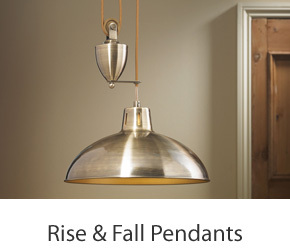 You will find our pendant bars here, these come in three styles with a straight fixed bar, or a line of pendants fixed to one bar or you could choose to single pendants to make your own line.